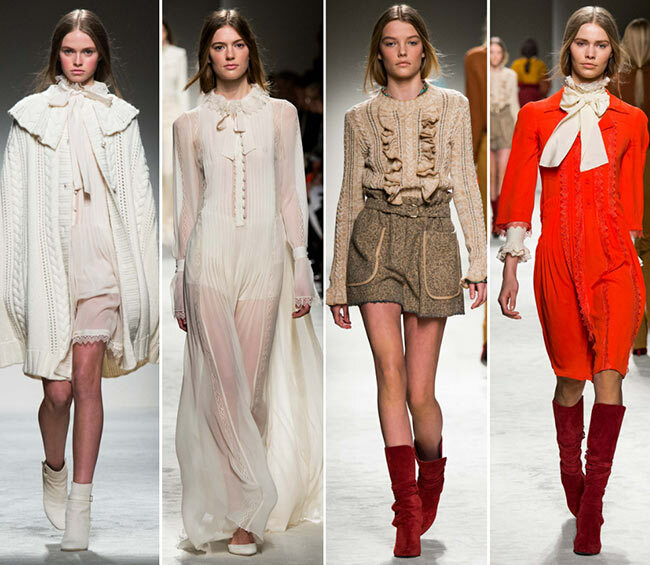 Past and present collide in the beautiful Philosophy di Lorenzo Serafini fall/winter 2015-2016 collection unveiled on the third day of Milan Fashion Week fall 2015. 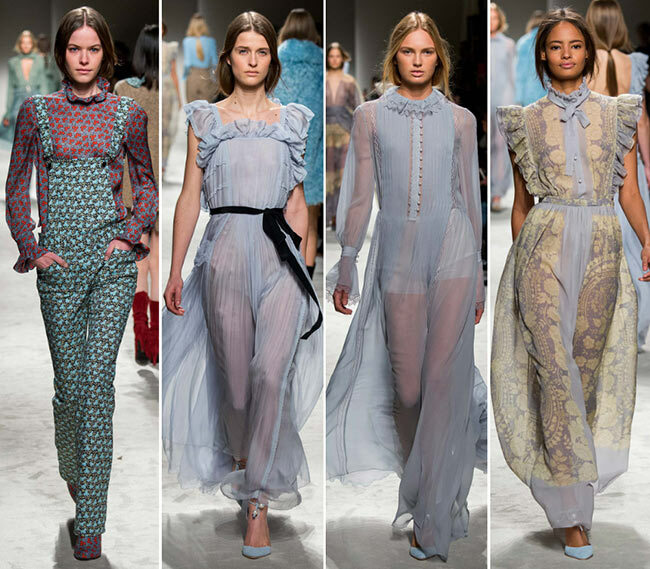 As a result we see an array of romantic billowy maxi dresses, pretty blouses and pants featuring tons of ruffles, big bows, ties and transparencies. 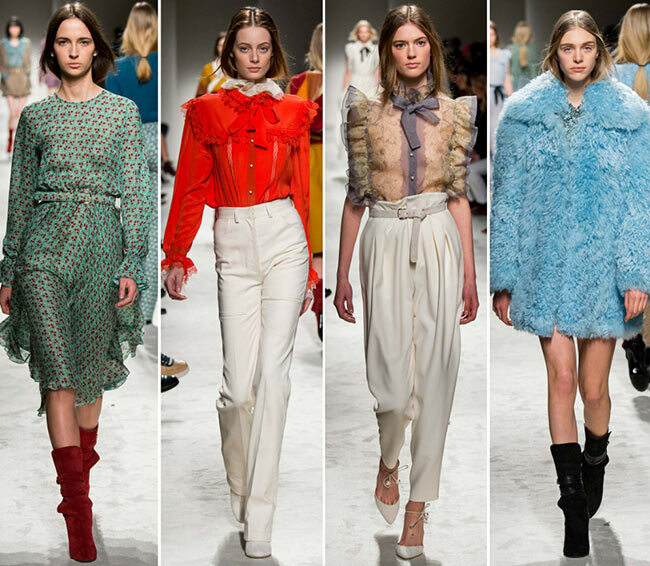 This is actually the first full ready-to-wear collection by Lorenzo Serafini for Philosophy after his pre-fall line-up unveiled earlier this year. Inspired by Brooke Shields, he titled his first Philosophy RTW collection “glamorous innocence’, which truly captures the spirit that reigned on the runway yesterday evening. Whether it’s about the refined evening dresses or the daytime staples, the pieces presented are drenched in prettiness and a dreamy style, at the same time managing to be highly functional and easy-to-wear. 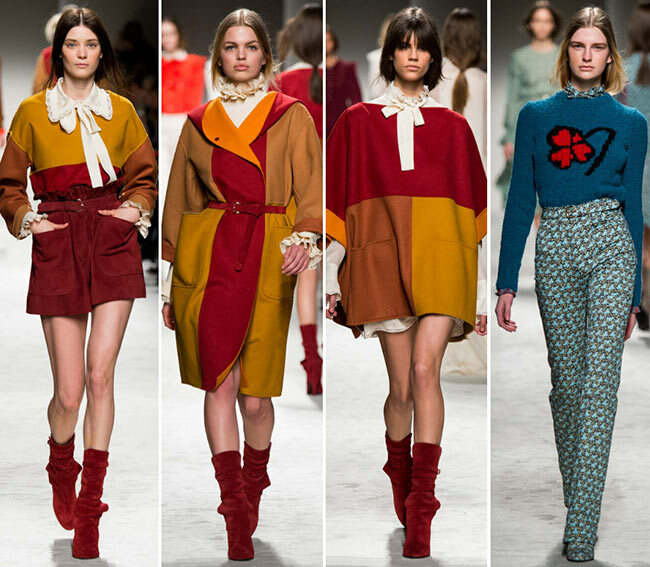 This is a brand new start for the youthful brand of Alberta Ferretti and we already love it so much! Before being selected as the creative director of Philosophy, Lorenzo Serafini had been an in-house designer for Dolce & Gabbana and Roberto Cavalli, and this is a totally new exciting experience for him. “I’m learning that what I’ve learned so far doesn’t really matter in the sense that the rules that I’ve known are completely different now‚Äö√Ñ√∂‚àö√ë‚àö√Üit’s like going naked in front of people now. Before I was working with some other designers, so my vision has always been related [to someone else’s]. Now any decisions, any hint of a dress, is really part of myself. It’s really showing the world who I am,’ he said in a statement. 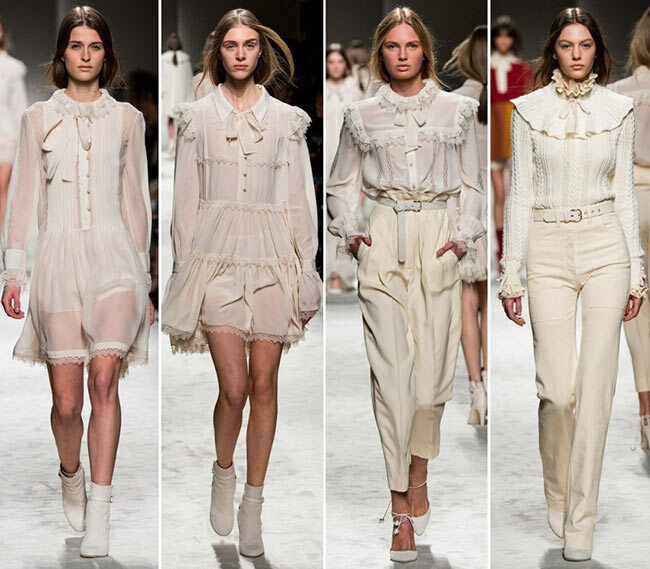 We actually love his decisions and his beautiful world, as the entire Philosophy di Lorenzo Serafini fall/winter 2015-2016 collection is a dream for any fashionista, who is into a girly, romantic style whether it’s about formal gatherings or a casual stroll in the city. He had tried not to dig too much into the past of the brand in order not to be overly influenced, preferring to put things his own way while still staying true to the DNA of Philosophy. As a result, he delivered an array of innocent and romantic clothing pieces with subtle glam motifs perfect for everyone and for every occasion. Color wise the philosophy of the new Philosophy fall 2015 collection is about mixing timeless classics with touches of warm shades to give birth to diversity in order to target a larger group of Philosophy fans. As a result, the show opened with an array of monochrome subtle ivory, white and cream looks and closed with head-to-toe black or cream outfits, while the rich Marsala wine motifs spiced up with mustard and rust touches came to cheer up the mood along with burnt orange tones, purples and lovely blues. While the majority of the looks were kept in monochrome styles, we also saw accents of the color blocking trend, as well as pretty tiny florals that only enhance the romantic mood of the collection. The great attention to details, the lovely ruffles appearing on the blouses and dresses, as well as the see-through materials used and the beautiful ties and bows came to capture our hearts instantly and make us swoon at the sight of each and every look showcased. We even saw one shaggy sheepskin fur coat in a light blue coloring and masculine influences on a classic pantsuit that still managed to look overly feminine and sophisticated. 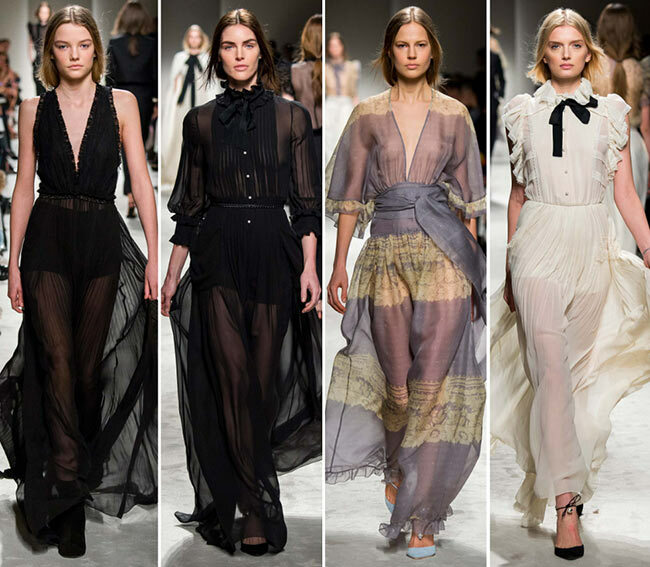 While the high-waist shorts and tailored pants teamed with pretty blouses instantly won our admiration, we were truly enchanted by the array of airy evening dresses utilizing lots of chiffon, lace, ruffles and bows. 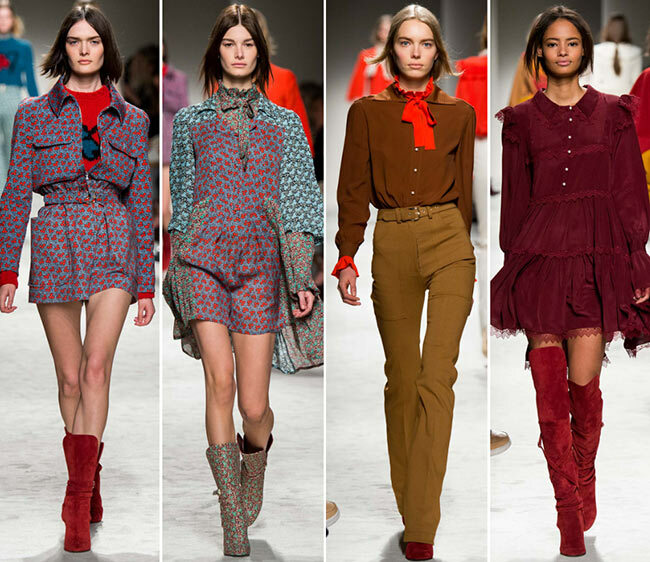 The looks were complemented either with suede boots on heels or classic pointy-toe heeled shoes, while the models’ makeup was kept in neutral and natural tones that looked so harmonious in combination with the undone low ponytails. 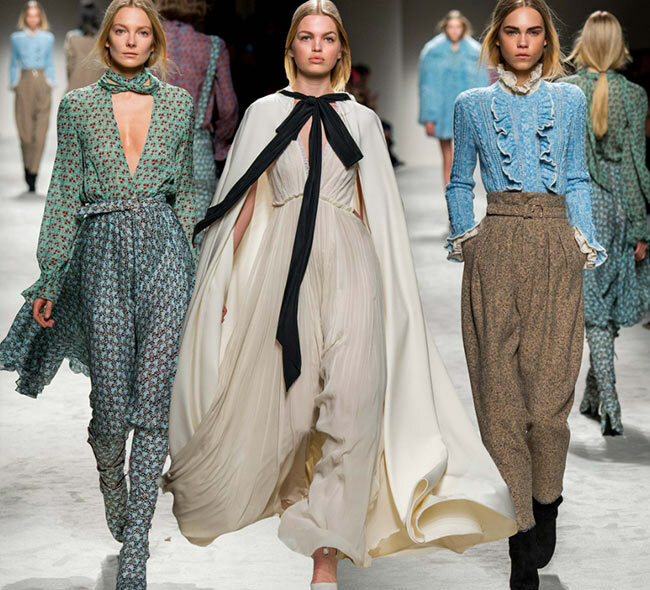 It was a romantic and innocent show as it was meant to be and we are so eager to see more stunning creations by Lorenzo Serafini!